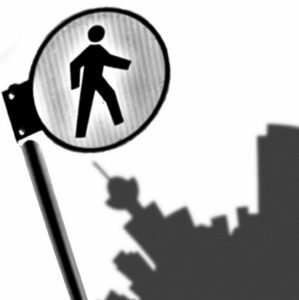 Coming soon from Pedestrian City… a comprehensive toolkit designed to help educators conduct memory mapping sessions in the classroom. I want to share one of the most inspiring moments from this year’s Walk 21 conference. This morning there was a presentation given by a former professor who is now a university student. He and his fellow researchers are all in their 60s, and their submission won a contest for a downtown revitalization project. It involves subsidizing seniors to open and operate their own part-time businesses in the downtown core. A truly unique and innovative idea, there is a lot of support for this within the community. As baby-boomers around the world reach retirement age, and are generally living longer, healthier, more active lives than previous generations, this is something more cities and countries may want to consider. Communities everywhere need to plan and design for seniors, both in terms of mobility and amenities. As I’ve mentioned before, if cities are accessible by seniors and children, they’re accessible by all. As demographics shift and an unprecedented proportion of the global population reaches retirement age, there is more demand by seniors to live centrally, where they have easy access to transit, amenities and community. So let’s also provide tools and support for them to remain active and engaged in our communities!